Just like the teeth nature gave you, teeth restored with veneers need gentle brushing and flossing every day. 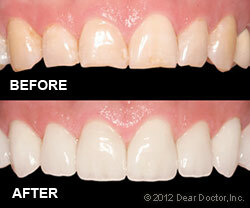 This will remove dental plaque and ensure good gum tissue health around the veneers. Regular checkups at our Toronto, ON dental office will remain as important as always to your oral and general health. And keep in mind that as tough as veneers are, they may not be able to withstand forces that come from using your teeth as tools (to open packages, for example) or biting into very hard foods like candy apples — which isn't good for your natural teeth, either! And if you grind or clench your teeth at night, you might be advised to get a custom-made nightguard to protect your veneers — and your investment. 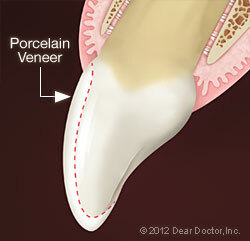 Interested in Veneers at Dentistry on University? Call our Downtown Toronto, ON office for more information!